I’m sure everybody thinks they’d like to get laser whitening. You might look at the mirror and you get the feeling that you have darker teeth than before. And it is possibly so. As you grow older your skin, body, hair, bones get affect… everything gets old, your teeth too. The teeth tend to yellow, just as the gums become more sensitive and might recede. Whitening is one of the most demanded cosmetic treatments in the dental industry. Generally people do not seem to be happy with the color of their teeth since they were young. They remember that their teeth were very white but then they did not like them when the permanents came out. This is very normal, as baby teeth are whiter than the definitive ones. There are genetic factors that come into play, because not everyone has the same base color. Inside each the mouth there are also differences, the cuspids (canines) are usually at least a shade more yellow than the incisors; this is also reason for consultation because there are patients who have teeth with an acceptable color but with very yellow cuspids. Here at our clinic you can get laser whitening to improve the look of your smile in a single visit while you vacation in Cancun. We also have the night kit treatment but we suggest to do the laser whitening at our clinic so you can get the most professional service available to you. As an interesting note, most of the American and Canadian patients who find us while they are shopping at our mall decide to get the laser whitening or a dental cleaning as they were not planning to get much else, and also this work as a way to try out services and make sure we are top notch. They usually make up their mind and plan accordingly to have a few days for a dental vacation the next time they come around to Cancun. They know they won’t get this level of care and professionalism at this price back in the USA or Canada. 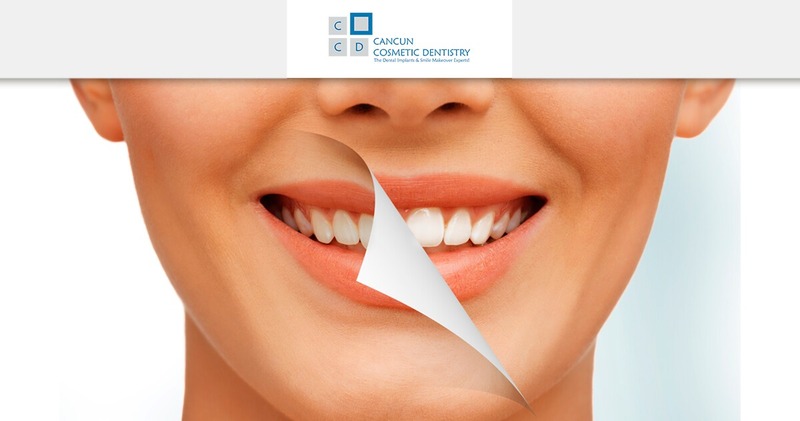 Check this review of Cancun Cosmetic Dentistry! Malocclusion, a legacy of early sedentarism? A Humanitarian's Review of our dental clinic in Cancun!